Partial credit. This image probably portrays high-ranking members of The Inquisition, The Adeptus Astartes, The Adeptus Mechanicum and The Imperial Guard. 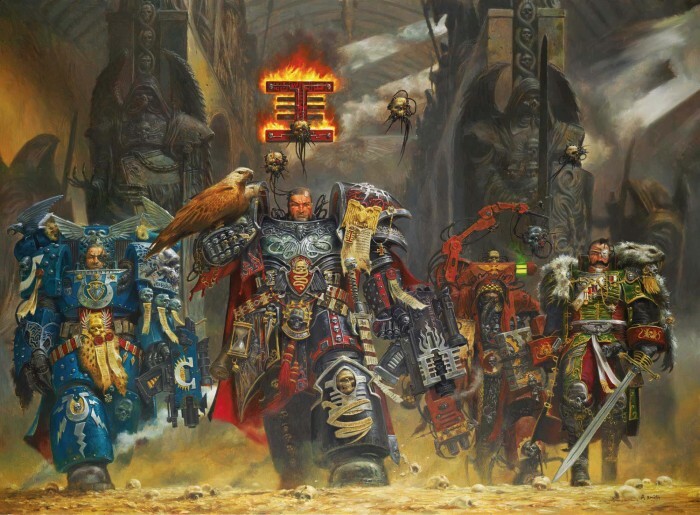 I’m fairly certain that is the Grand Inquisitor Coteaz Torquemada in the center there, seeing as he has the two-headed eagle of the emperor. I think it is a picture of the High Lords of Terra actually. Its in the rule book. That makes sense. The best wargear is reserved for those who fight at a table.